The front of backpack,have two buckle,will make the bag more secure,simple design but fashion. Strong strap and thick padded mesh will make you more comfortable and safety when you walking. Backpack of inside,we use the better lining for inside,it is scratch resistant,have a 15.6 inch laptop compartment,and a Ipad compartment,good lining can protect them more safety. Q.Can you provide me your catalogue? A.We specialize in producing and developing all kinds of bags. 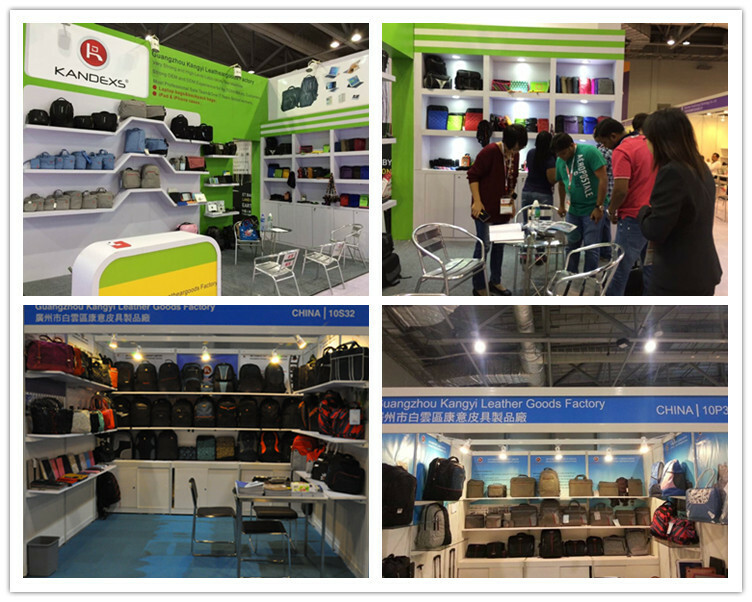 As a reliable bag manufacturer and exporter in China, we supply sports bags, backpacks, mountain bags, laptop bags, military bags and canvas bags. Materials include polyester, nylon, canvas and PVC.Please kindly tell me which kind of the item you prefer to and provide me more information. It will help us to give you a good price. Q.How to do if I can’t reach your minimum order quantity? What’s your delivery time and payment terms? A.Do not worry about that. If you can’t reach MOQ for each item, we suggest you refer to our goods in stock and group sourcing items. We also can send you the latest list of the prompt goods for your reference. Q .Can you help me make my own design? How about the sample fee and sample time? A.Sure. We have a professional development team to design new items. And we’ve made OEM and ODM items for many customers. You can tell me your idea or provide us the drawing. We will develop for you. As to the sample time is about 5~7 days. The sample fee is charged according to the material and size of the product.